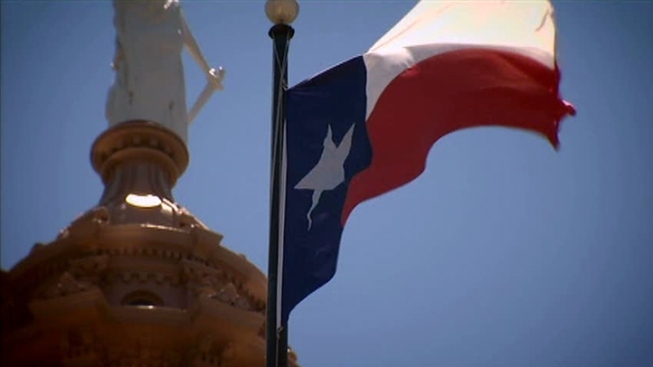 The Texas Senate approved a resolution supporting President Donald Trump's assertion that there is an immigration crisis on the U.S.-Mexico border. The non-binding language was introduced on the floor by Houston Republican Sen. Paul Bettencourt on Tuesday. Outnumbered Democrats said they were blindsided and complained bitterly during hours of heated debate — but they didn't have the votes to stop it. The ceremonial resolution stated that the "Texas Senate supports the president in his efforts to move forward with emergency action" on the border. Still, lawmakers had previously largely avoided thorny immigration debates, despite Texas' 1,200-mile border with Mexico. The U.S. House and Senate voted against Trump's use of emergency power to build a border wall, but he vetoed the resolution and Congress was unable to override him.